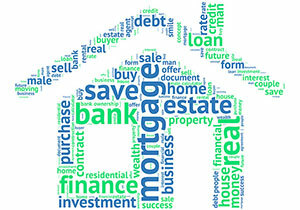 Sometimes when you’re reading about mortgage financing or talking to a banker or mortgage broker, it seems like they’re talking in a different language. They may be using terminology that you’re unfamiliar with. One of the more effective ways of marketing your condo suite, especially with today’s social media resources is to define who is our most likely buyer. In simplest terms… are we talking about first-time buyers, parents buying a suite for college-age children, move-up buyers, down-sizers, millennials vs seniors, investors and so on. Well, it’s official. 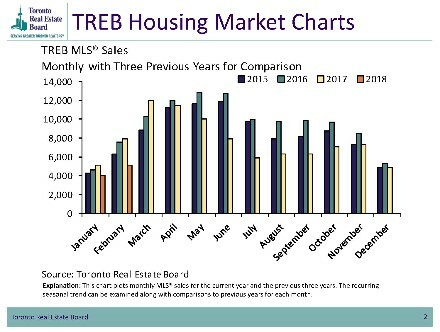 The Toronto / GTA market is in a bit of a slump as the average sales price and the number of homes sold both drop from last year. The Days-On-Market (DOM) statistic is also nearly twice as long as last February. A big ray of sunshine, however, can be seen when you compare this year’s results with those of 2016 or prior. The bellwether ratio of sales-to-listings is up to 38.7% indicating an improving market while the February average sales price is still up $82,000 from 2016 or almost 12% in 2 years. Sellers now need to pay close attention to the most recent sales (best to look back just 60-120 days) when deciding where to price their properties. 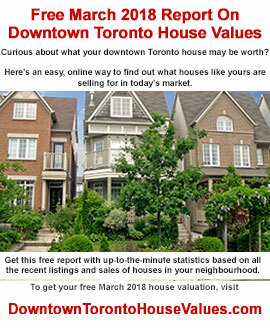 Would you like to know how much your Toronto condo or house might be worth in today’s market? 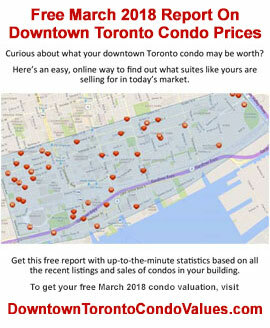 Enjoy this February Market Report and please keep us in mind when any of your friends are talking real estate in Toronto. Sales were down 35% for February compared to last year with 5,175 houses and condominiums changing hands in all the districts. This was the lowest number of sales for the month since February 2009. Condo townhouse and high-rise suites took a highest-ever for February 38.6% share of the market with 1,995 units being sold. 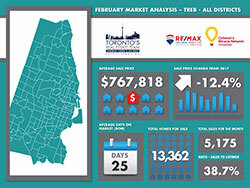 The February average sale price for all GTA homes came in at $767,818 – this was a 12.4% decline from one year ago. Considering that February 2017 was an over-the-top crazy market, if instead you compare 2018 with 2016 (with an average of $685,738), this year was still up 12% in that 2-year period. The active listing inventory is one of the strongest indicators of how slow or fast the market has been moving. The inventory average for the month of February compared to historical numbers was up 4.4% but increased by a big 147% from last year at this time. In February that ratio finished at 38.7% compared to an insane 147% last year. The GTA is now into a very ‘lite’ seller market territory so sellers may need to adjust their expectations if they want to make a move. The days-on-market average for Toronto homes was 25 days, 7 days faster than January..
Watch the video to get the complete February 2018 Market Report details.